Jakarta, July 23 : Indonesia has complied with all structural requirements for the upcoming Asian Games later this year, a minister said here on Monday. Indonesian Public Works minister Basuki Hadimulyono said that the venues are ready to be opened by President Joko Widodo on August 1, reports Xinhua news agency. "The preparation of (the) infrastructure for the Asian Games is 100 per cent ready. 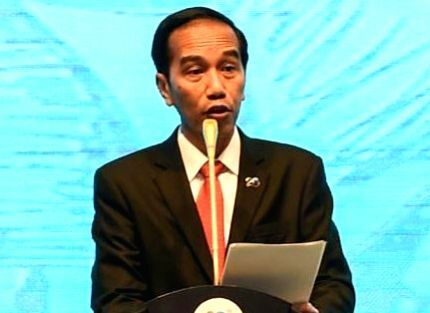 I will tell President Widodo that on August 1 they can officially be installed," he said. Responding to damages to chairs in the sport stadium in Palembang city, one of the venues of the Games following a clash there, the minister downplayed it saying that they would be immediately repaired by the provincial administration. The latest data from the Olympic Council of Asia outlines that a total of 11,300 athletes from 45 National Olympic Committees will be competing at the event. Indonesia will deploy a massive security force of around 200,000 police and military personnel. A total of 26 heads of states will attend the event, scheduled to run from August 18 to September 2 in Jakarta and Palembang.